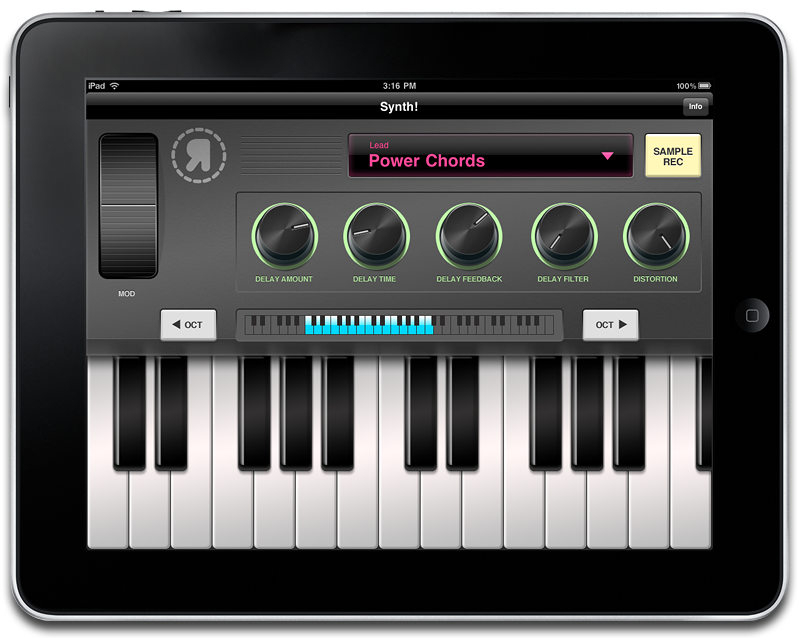 Synth is easy to use and fun to play! It comes packed with over 40 instruments and a series of effects to play with. Tweak the Mod wheel to adjust LFO or filters, while the delay and distortion knobs create a wide range of great sounding effects. Re-live the Casio SK-1 days with the sampler! Sample anything with the iPad mic, and play it back on the keyboard! Just 99 cents!